This is data that identifies you or can be used to identify or contact you and may include your name, address and email address in circumstances where they have not been deleted, clipped or anonymised, telephone number, birth date and billing and credit card information. Such information is only collected from you if you voluntarily submit it to us. Your IP address is collected in the interest of security and for statistical purposes. Your name, address, contact details and any relevant information which you submit to us through the My Account section is shared with other members. You can change your privacy settings in the My Account section and choose to whom (if any) you information is shared with. This can be with all members, your final year or nobody. Regardless of what you set here, information about you, including your name and contact information, is not shared with members who are not signed into their account. Likewise, you can only access member's contact information if you are signed in. Your credit/debit card details are not shared with anyone. Such details are processed by Realex on a secure server. These details are not shared with us and we cannot access your card details. (e) to verify your account in the case that you may have forgotten your password. 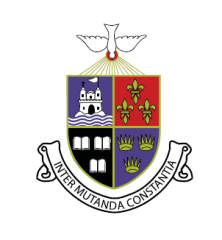 Data submitted to the Rockwell College Union database through the My Account section is shared with other Past Pupils. You can change your privacy settings in the My Account section and choose to whom (if any) you information is shared with. This can be with all members, your final year or nobody. Your Personal Data and our website content is held on secure servers currently managed by BestSoft Consulting. All these servers are located within the European Union (with the exception of our newsletter servers), and so are bound by EU and Irish law. The nature of the Internet is such that we cannot guarantee or warrant the security of any information you transmit to us via the Internet. No data transmission over the Internet can be guaranteed to be 100% secure. However, we will take all reasonable steps (including appropriate technical and organisational measures) to protect your Personal Data. Newsletters may be distributed via Mail Chimp which may have servers outside of the EU. Mail Chimp comply with the US-EU Safe-Harbour Agreement. Such newsletters can be unsubscribed from at any time with immediate effect. In particular, please take particular care not to send any sensitive information via email as email communications is not a secure method of communication. Please do not email your credit card information under any circumstances, even if requested to do so. We will never ask you to send your credit card information via email. You may inform us of any changes in your Personal Data, and in accordance with our obligations under the Data Protection Acts 1988 and 2003 we will update or delete your Personal Data accordingly. To find out what Personal Data we hold on you or to have your Personal Data updated, amended or removed from our database, please email us with a request to . Any such data subject requests may be subject to a fee of €6.35. Please note that there is no charge if you wish to remove your information from our database.